On a day when regrets of war filled the news, a heartwarming story has emerged concerning an insecure employee who was worried about meeting with his boss, only to learn he was doing a good job when he received an enthusiastic thumbs up. His insecurity was increased by the fact that his boss does not supervise him day-to-day, but leaves it to the unqualified and temperamental employee to figure it all out for himself. Though he didn’t get a chance to speak with his employer, the happy underling said their brief encounter couldn’t have gone better. 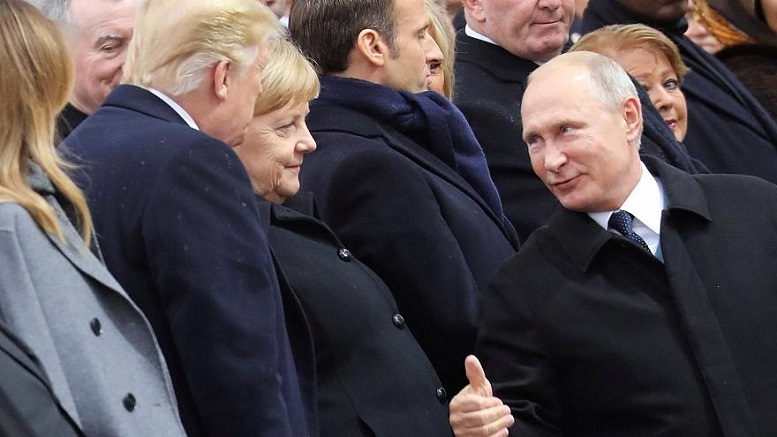 1 Comment on "Insecure Employee Delighted To Get Thumbs Up From Fearsome Boss"
In these days, it is easy to make friends and be popular simply by ridiculing Trump. It’s an immediate ice breaker, a lazy man’s way of being accepted. I expect a higher level of intelligence in humour and satire, so I am unsubscribing.